Lindsey Vonn of USA wins the bronze medal during the FIS World Ski Championships Women's Downhill on February 10, 2019, in Are Sweden. 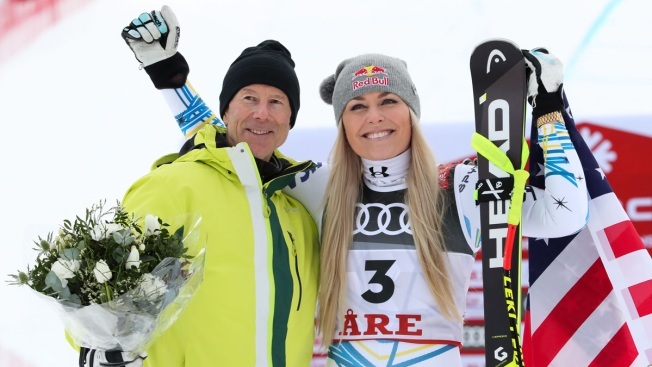 Lindsey Vonn walked off with her career haul of medals in her right hand, the gold, silver and bronze clinking together, almost weighing her down. After being delayed due to high winds, the women's super-G got underway in Pyeongchang with Lindsey Vonn leading the pack. Vonn set an initial hard-to-beat pace with a time of 121.49, but was faced with the difficult task of having to wait and watch the rest of the competitors try to beat her time. "The nice thing is that in the real world I'm actually pretty young. I have felt really old for a long time, because I'm racing with girls that are like 15 years younger than me. So now, in the real world, I'm normal. Thirty is the new 20 so I'm super young. I've got a lot to look forward to."